Even though it isn't officially Summer yet, it sure feels like it. . . cuz it is HOT. My swimming pool opened last week and I can't wait to spend my weekends there soaking up the sun! Key Lime Pie just screams Summer to me. I have to make at least one each year and each time I like to try a new recipe. 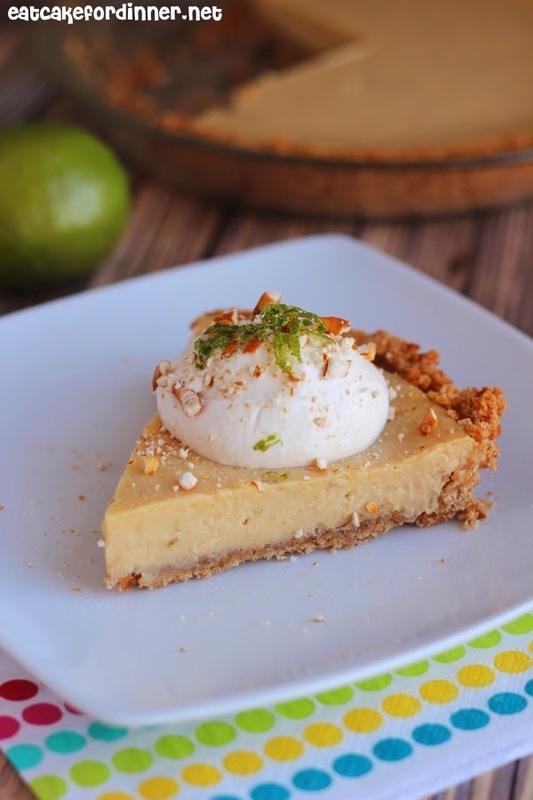 Last year I tried these Key Lime Bars with an Animal Cracker Crust and they were AMAZING. Who said a pie crust has to be graham cracker. No way - there are so many options. This pretzel crust was awesome and I have got to make more of them. That salty sweet combo is so so good. This pie is from Kneaders Bakery and Cafe, which has some of the best treats around. It is tart and tangy, yet creamy and delicious. For the Crust: Preheat oven to 350 degrees. Lightly grease a 9-inch pie dish with nonstick cooking spray. Crush pretzels until very fine (make sure you have 1 cup + 2 Tbl. crumbs). Add the sugar and melted butter and mix together until combined. Press the mixture into the bottom and up the sides of the prepared dish. Bake for 8-10 minutes; the crust won't change color much, but will firm up. Remove from the oven and make the filling. For the Filling: First, remove the zest from the whole limes and add to a medium bowl. Cut the limes in half and squeeze out the juice, being careful to not get any seeds in the bowl. Add the egg yolks and whisk together until combined and they are tinted green, about 2 minutes. Add the sweetened condensed milk and mix until combined. Allow mixture to sit for 5 minutes. Pour into baked crust and smooth top evenly. Bake for 28-32 minutes or until filling is set, with a small spot in the center still looking soft. Cool for several hours before serving. Top with whipped cream and garnish with crushed pretzels. Jenn's Notes: I used bottled Nellie & Joe's Key Lime Juice (found at most grocery stores) instead of fresh lime juice. 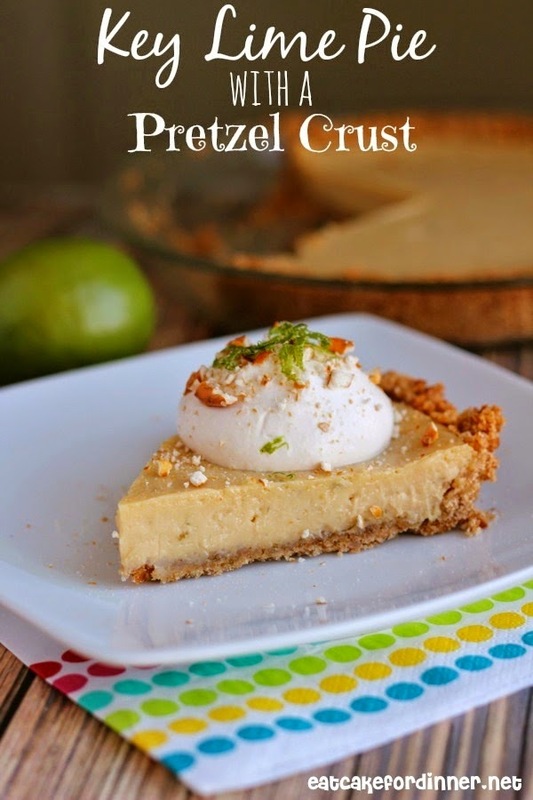 The pretzel crust on this is so great, what an awesome combination! Yum, this pie looks amazing! I love the idea of a pretzel crust!! Great combination!